I have been thinking for some time about making a collection of artwork based around a theme. Villains are obviously my favourite of all Disney characters and with it coming up to Halloween the majority of my inspiration ideas centred around villains. After much deliberation and doodling I decided to do a series of Disney Villains as Horoscopes, not only did I want to depict them in the specific style of the Horoscope signs but I also wanted the ‘negative’ traits of that sign to be representative of the villain that I chose … quite the task I set myself! So, who is the first design you my be asking? Yzma is shown with her arms in a scale like position to represent the Libra scales with Kronk’s good and bad conscious on each hand for balance. I have made this design available on my Redbubble on a variety of items, I will shortly have prints available too. The next design will be released mid October, I really hope you like this idea and enjoy this series, I have put a lot of heart into this. 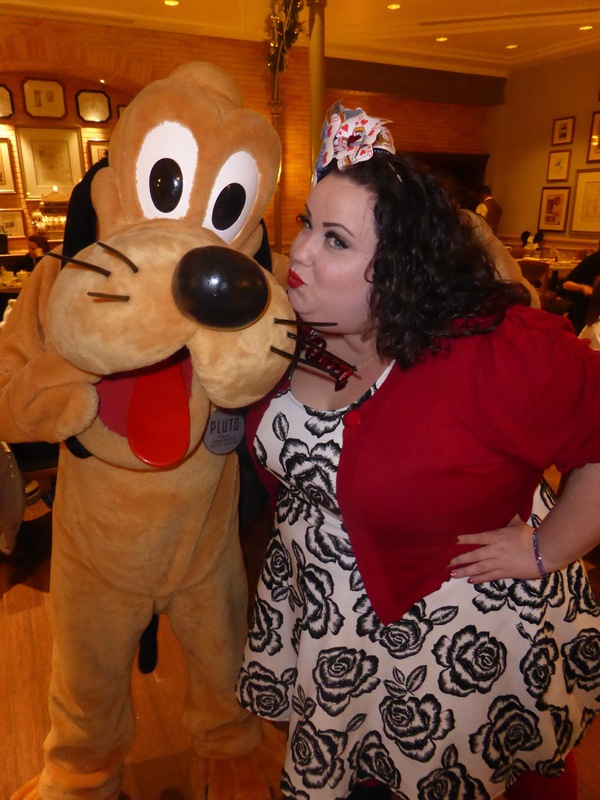 Plus size Disney – All my outfits from my last trip. This year I decided to wear my Queen if Hearts themed dress from Be Ba Go the interaction from characters was amazing. I had the best day! I hope you have enjoyed seeing what I wore on my latest trip! What was your fave one? I will be back tomorrow with part 2 of my Plus Size at DLP blog. As you probably know by now, I have an Etsy store which you can find here. I’ve started adding some more items to my store including custom Disney ears, hand painted shoes, cushion covers and scarves. 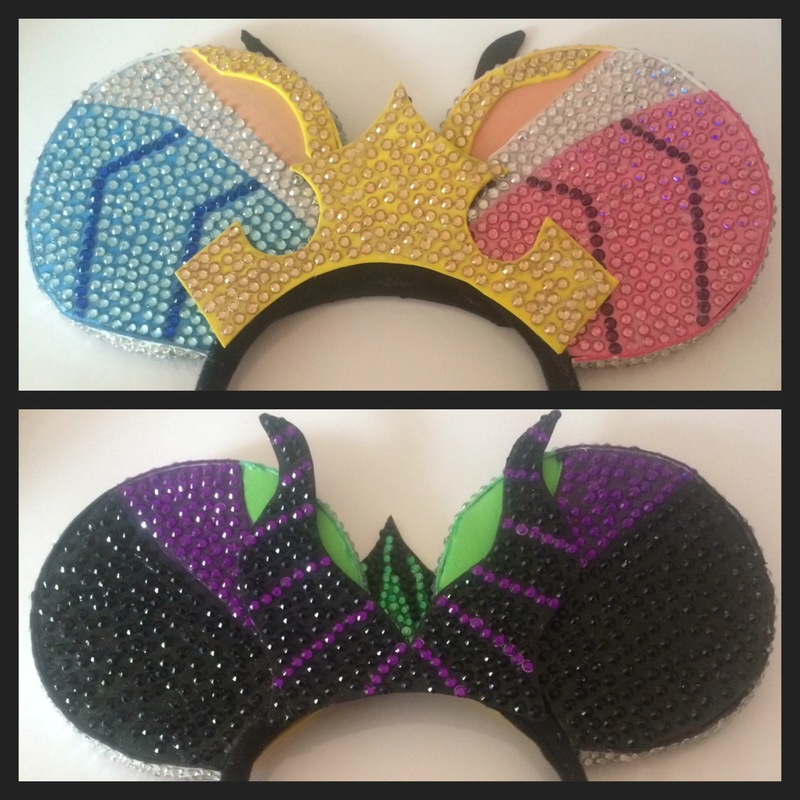 The newest editions are the custom Disney ears and they’ve proved to be pretty popular so far which is super exciting! I have videos of both my Sleeping Beauty and Snow White bespoke ears available to view – just click the name you want to see! To order your own pair you just need to buy using the custom design listing on my Etsy (this secures your place in the queue of orders) then I will contact you to get to work on your design. I also have two options for painted shoes! 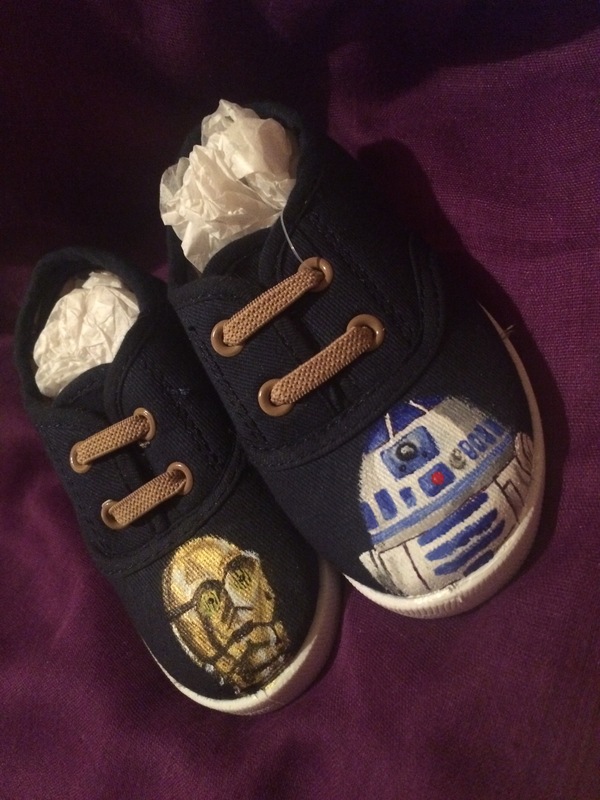 For custom painted children’s shoes, select the children’s option. For adult custom painted shoes, select the adult option. Again, purchasing secures your place in the queue, once you have paid I will contact you with design ideas! 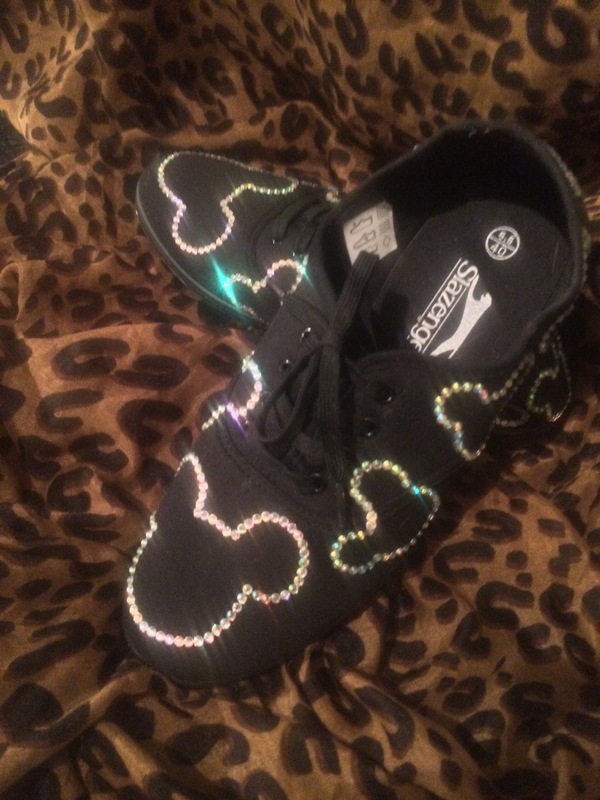 I also have some super sparkly custom crystal shoes! 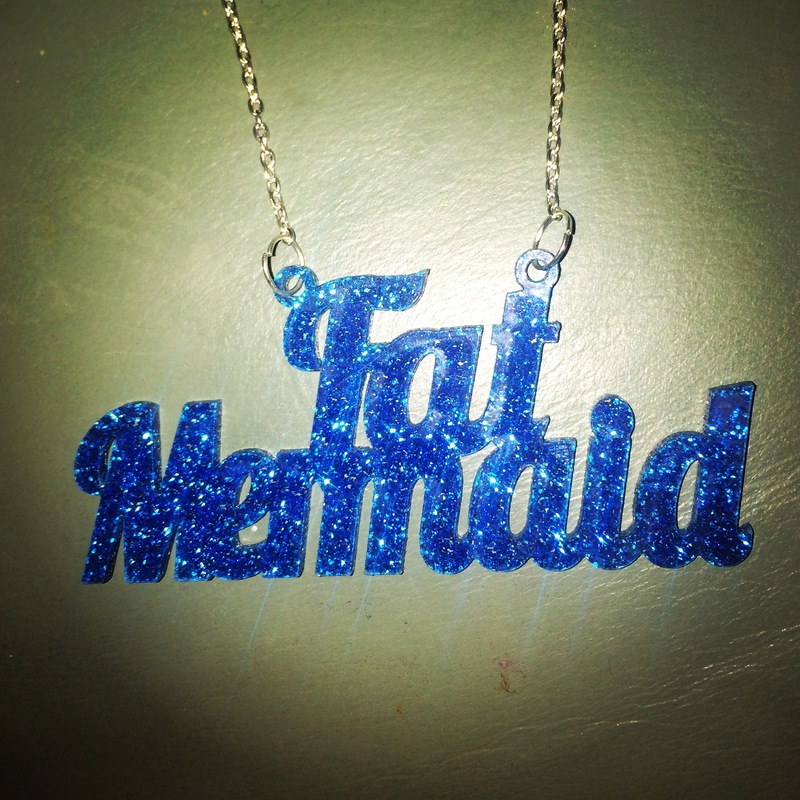 I wore mine at DLP and they got a lot of attention as they are so glittery!! You can buy yours here – this price includes the shoes!! 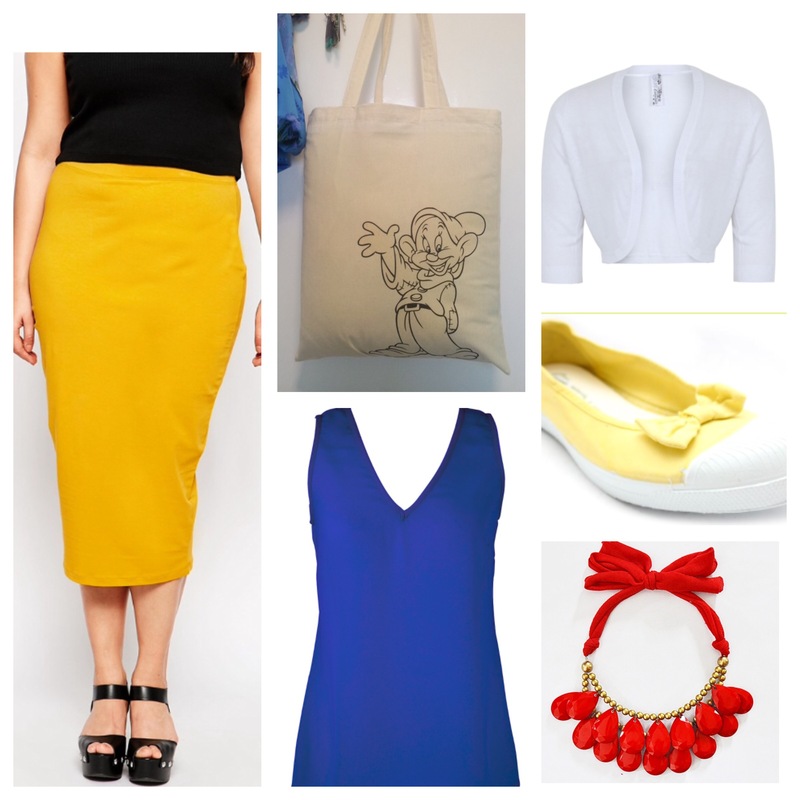 There are some fabulous items for Plus Size Disneybounding at the moment so today we are staying on the Princess theme with Snow White! All items are available online at the time this post went live – click the links below the pictures to view! Once again, I included flat shoes as I think this would make a beautiful Dapper Day outfit in the parks & Disneyland Paris has one coming up!! Don’t forget, if you recreate any looks, please do let me know! 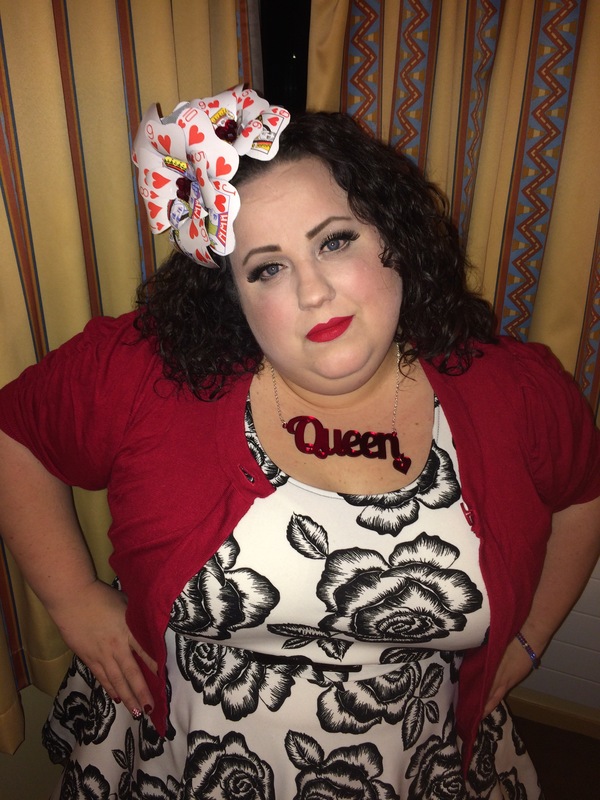 I’m @Queen_Ursula_UK on Twitter and would love to hear from you! In a change to my usual outfit posts, today I am covering a look that I actually wore on a recent trip to Disneyland Paris! 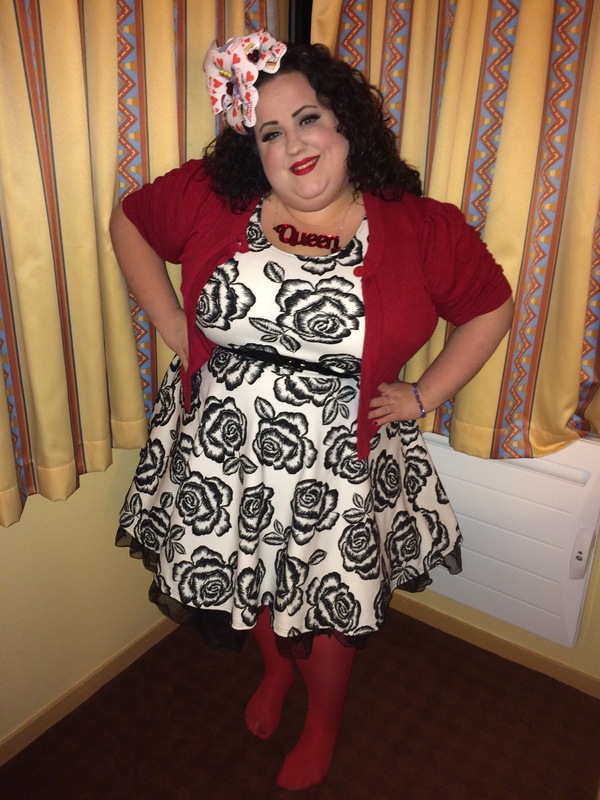 This is my Plus Size Queen of Hearts Disneybound – I hope you like it!! 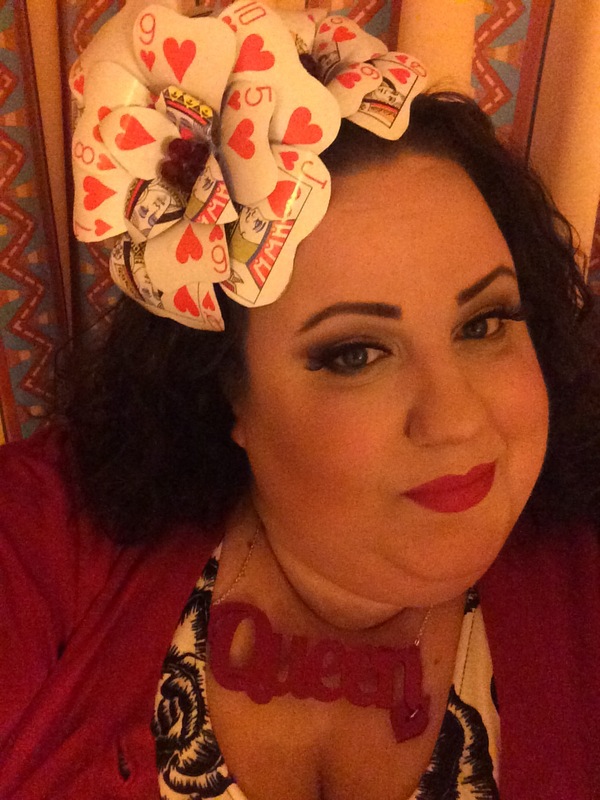 I made the playing card flower crown myself and absolutely love the way that it came out. If you would like me to provide details of my makeup for this look, then please let me know! This was definitely my fave outfit of my trip, what do you think of my Queen of Hearts style? 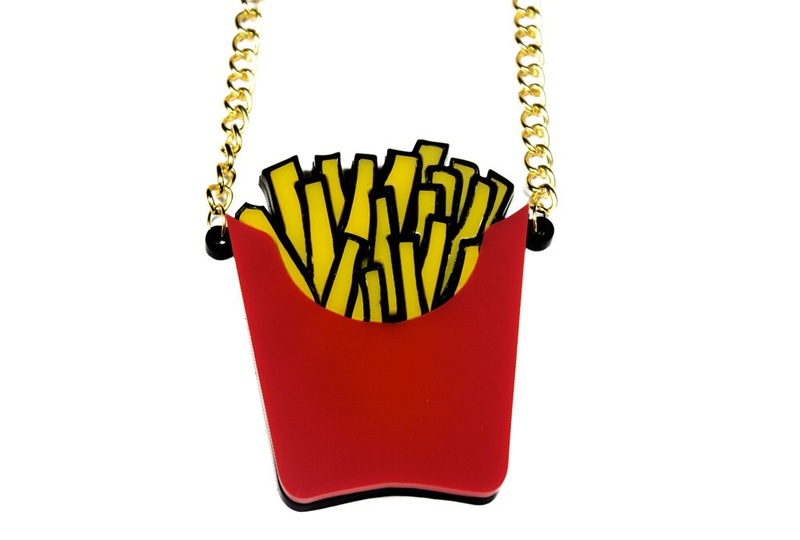 I love jewellery. I especially love jewellery that can be customised to my exact needs or wants and Black Heart Creatives are a wonderful brand that can do just that!! The company is the brainchild of the adorable Charlotte. I have had the pleasure of meeting Charlotte at an event we exhibited at together and can say that she is a total sweetheart. The most amazing thing about BHC for me though is the wonderful bespoke service that Charlotte offers. The website has a gallery of bespoke designs here. If there is something you want made, you just have to drop an email to Charlotte via the website and she’ll work with you to create the item of your dreams!! I’ve had a few items made myself and plan on having a lot more in the future! 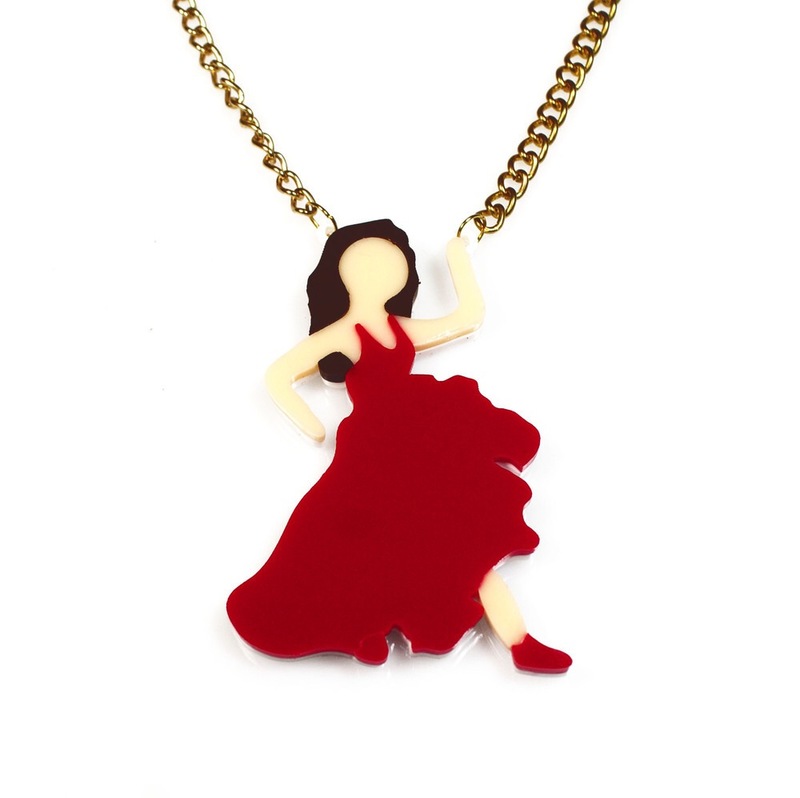 My latest necklace is this stunning design which I think I’m going to be wearing A LOT! Please do check out Charlotte’s work and buy handmade!! 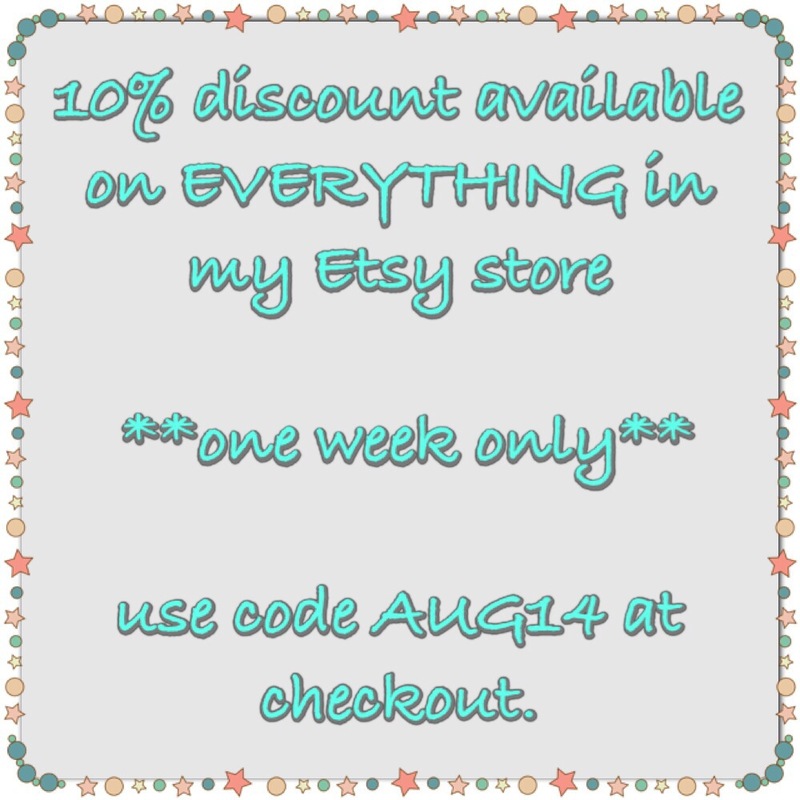 I am offering a 10% discount on everything in my Etsy store until the 8th August 2014! You just need to enter the code AUG14 at checkout to claim your discount! 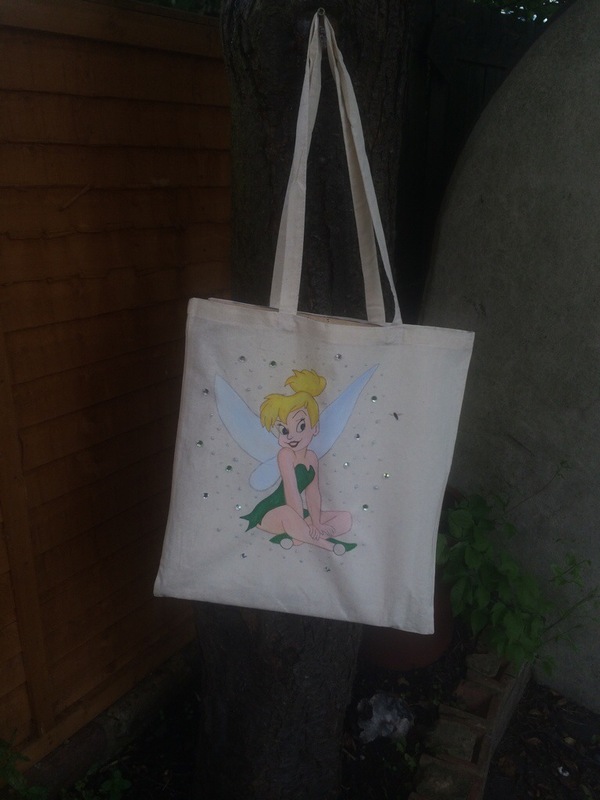 I ship internationally and this include bespoke designs too! 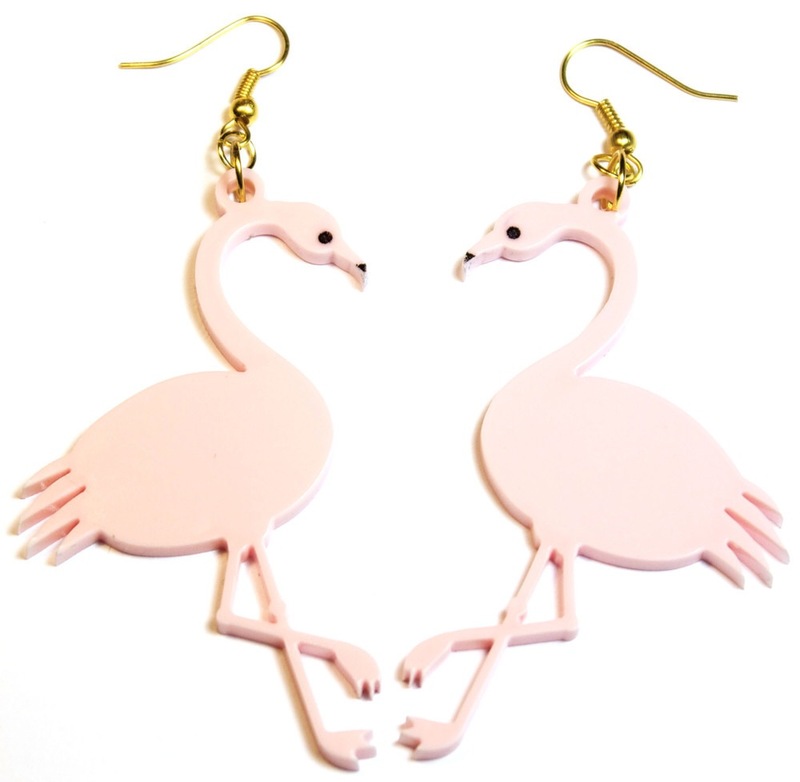 So pop along to my shop here and buy something pretty!! 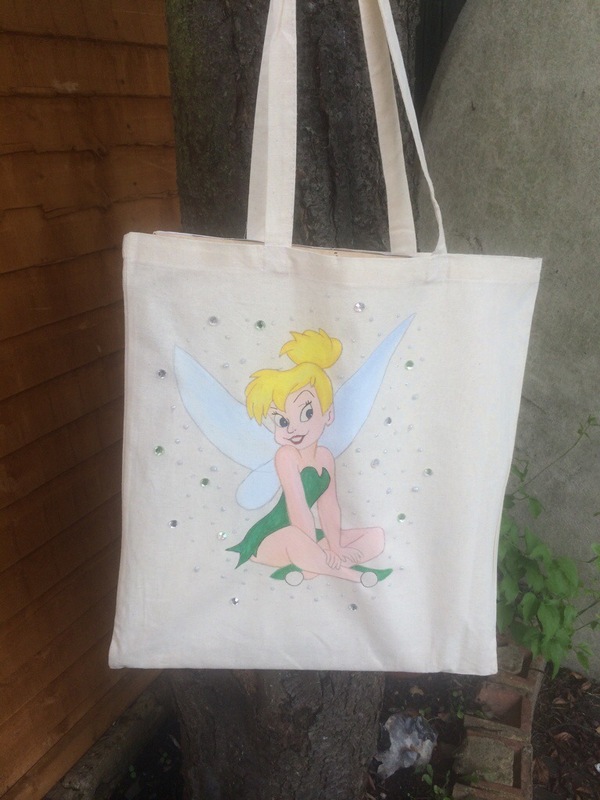 I’ve added another brand new hand painted tote bag design to my Etsy store today. 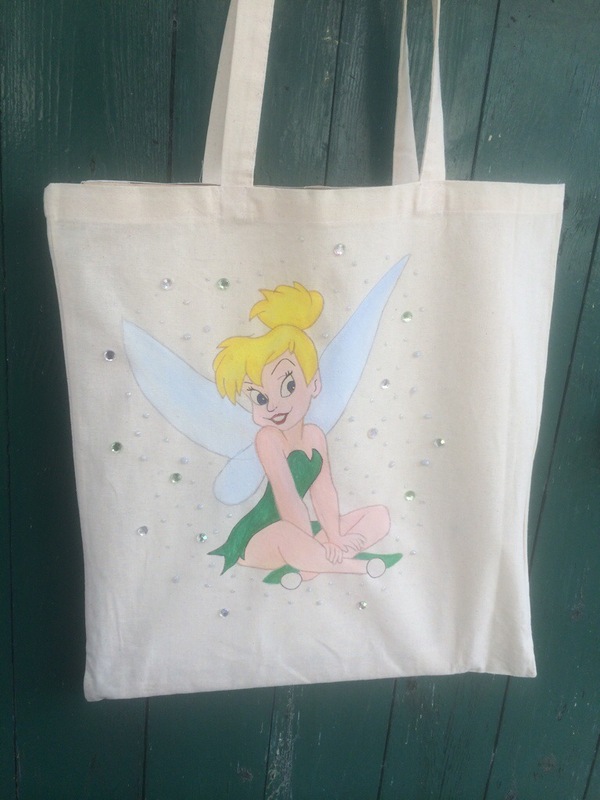 Tinkerbell was a very popular request when I asked what my friends on Instagram would like to see next, so here she is! Faith, Trust and Pixie Dust is live now. 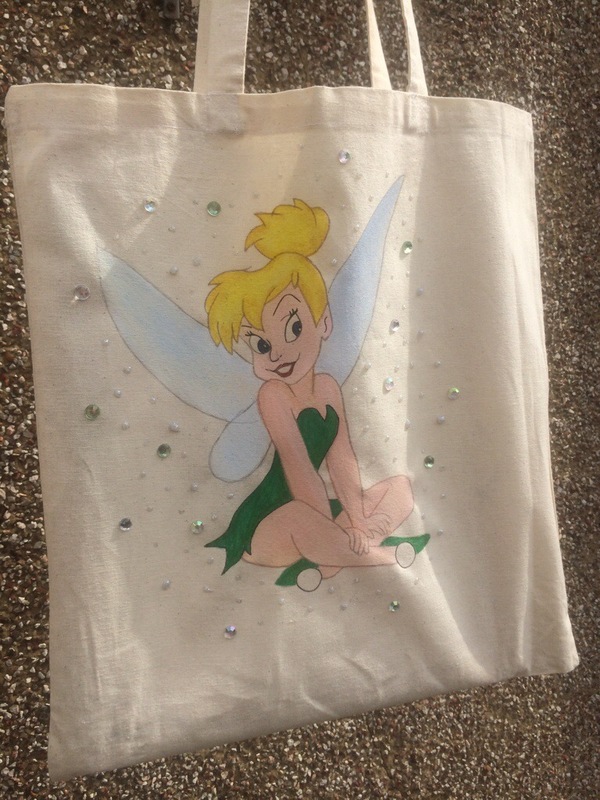 I can add either a name or a quote as part of the price and this bag includes both glitter and crystals! !